American Airlines does let pets into the cabin to travel with you, but with certain stipulations. Firstly, the pets have to be either a cat, or a dog. No other species of animals are allowed. Secondly, the size of the pet matters, as both the pet and the carrier together cannot weigh more than twenty pounds. Animals larger than this, unless they are service animals, cannot travel in-cabin. The pets must also stay in this carrier, with the door closed and under the seat during the duration of the flight. There are also certain routes that no pets are allowed in the cabin, no matter how small and contained. These routes include flights to or from Hawaii, all Transatlantic flights, and flights to Bolivia, Chile, Uruguay, Argentina, or Venezuela. Due to the fact that the pet and carrier together must both weigh less than twenty pounds, and fit under the seat, the carrier can be no larger than 23” long, 13” wide, and 9” high. Your pet must be able to stand up, lay down, and turn around in the carrier of this size. There is also a limit of seven animals per cabin per flight, and this is first come, first serve. Assuming you and your pet meet all of the above requirements, you will have to pay a fee of 125 dollars per pet carrier in the cabin. This fee is not round trip, and will be required each way. Curbside check in or self service are not allowed when traveling with a pet, so normal check in will be required. Unlike Southwest Airlines, American Airlines actually allow pets in cargo hold. Pets that do not qualify for in cabin travel can be checked the same way you would check your baggage, and will be traveling in the cargo hold. Like in cabin travel, cargo travel is restricted to cats and dogs only, and is first come first serve, as there is a limit to the number of pets on any given flight. To avoid issues check in early, but also be aware that checked pets are not accepted before four hours prior to your scheduled flight. American Airlines also cares about pet safety, and because of that, no pets will be allowed to travel in cargo if there are extreme temperatures of either hot or cold. Pets also must have enough room to stand, to turn around, to sit, and to lie down in their carriers. For cargo carriers have to be very sturdy, and made of either wood, metal, plastic, or other hard and leak proof material. Carriers must also have plenty of ventilation, and water containers that can refilled without opening the carrier, in case there is a delay and the animals need to be given water. Kennels, or carriers, cannot be bigger than 40” long, 27” wide, and 30” high on a standard flight. Some flights with smaller planes must have smaller carriers. For example the Boeing MD-80 has a smaller cargo door, and kennels cannot be larger than 29” high and 53” wide in order to fit through the doors. Any and all pet carriers cannot weigh more than 100 pounds with the combined weight of the carrier and the pet. American Airlines allows you to travel in cabin with service animal that you need for emotional support, as long as you meet certain guidelines. First and foremost, the pet will travel with you at no charge as long as they are able to fit either on your lap, at your feet, or under the seat, and that they will not in any way block the aisle. For safety regulation reasons, if your pet blocks the aisle in any way, you unfortunately will not be able to bring them into the cabin to travel with you. Additionally, you and your pet cannot sit in the emergency exit row, due to the fact that if there is an emergency, your pet cannot agree to follow the instructions required of those seated in that row. Assuming your pet meets all the above guidelines, you will then need a doctor’s letter in order to bring your support animal. The letter must clearly state that you have a disability that is either emotional or mental, and the disorder must be officially recognized in the Diagnostic and Statistical Manual of Mental Disorders. Further, the doctors letter must show that it would be detrimental to you to not have your emotional support animal during travel, and/or for when you arrive at your destination, and finally they need proof that they are in fact a licensed mental health professional or medical doctor, including information from their license such as type, date issued, and state issued, and they must state that you are their patient. All of this information will be verified, so American Airlines requires that you submit this documentation at least 48 hours before your flight, otherwise you might have to check the animal in a carrier, and they will not be allowed to travel with you as you would like them to, in the cabin. Like in cabin travel, pets traveling in American Airlines Pet Cargo are subject to fees. For this kind of travel the American Airlines pet fee is 175 dollars per pet carrier each way. Whether you are using American Airlines pet travel through in cabin or through cargo, there are certain points to remember. You are allowed to have more than one pet per carrier, but the limit is two. The limit is also two pets per ticketed passenger. 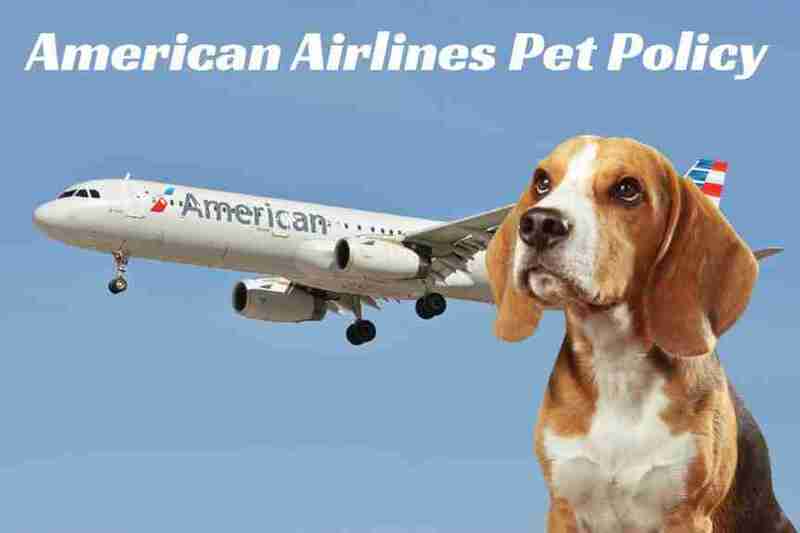 All pet travel comes with an American airlines pet fee, although the in cabin travel is slightly more affordable. It is advisable to always arrive early when checking in pets, but important to remember you can’t check in with pets more than four hours before your flight. With proper preparedness American Airlines pet policy will keep your pet safe, and make sure you, and your beloved animal, arrive safely and soundly in your destination. New: Now dr must fill out form and sign the american airlines specific form for each trip. They no longer keep letters on file foe a year.